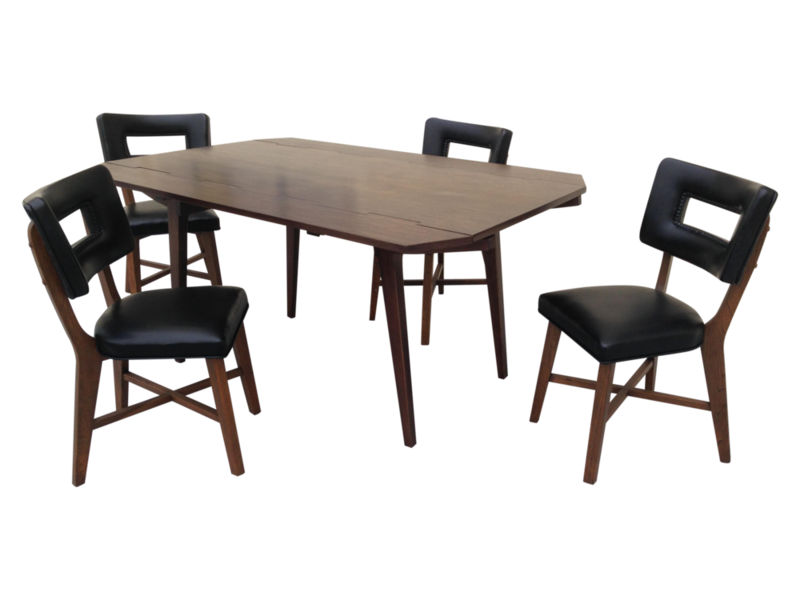 Vintage 1960's Drexel walnut drop leaf dining table with 4 chairs in freshly restored condition, from their "Perspective" design series. Small dimensions & drop leaves make this set very suitable for apartment or loft. Dramatic modern styling, versatile, & very sturdy. The dimensions of the 4 walnut & black vinyl upholstered chairs are 20" deep, 16" wide & 32" high at the top of the backrest. The table is 29" high, 60" long, 39" wide with the leaves out & 27" wide with the leaves down.